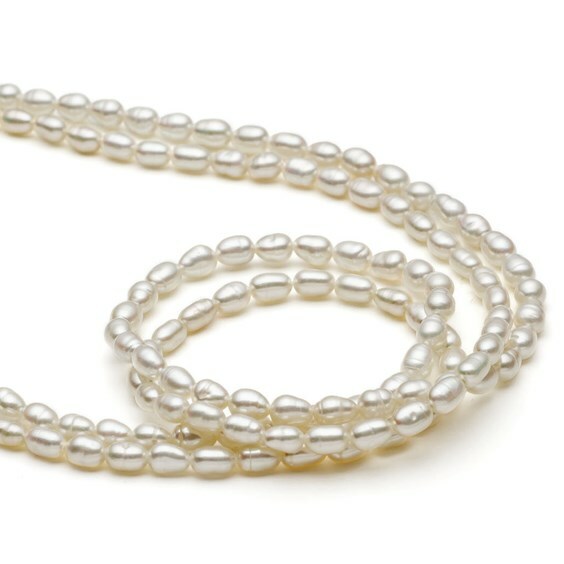 These lovely B grade rice shape white cultured freshwater pearls are really pretty; they have a beautiful lustre and a wonderful quality making them great for delicate wedding jewellery. 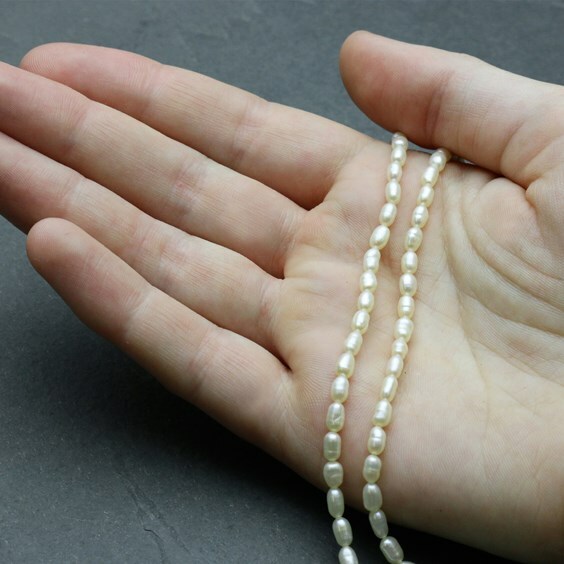 Why not wire wrap them to make delicate earring drops or charms or combine with rose quartz, fluorite or apatite to add a splash of colour to your design. 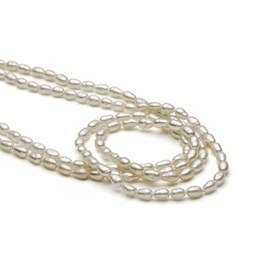 A 40cm strand contains approximately 90 beads. 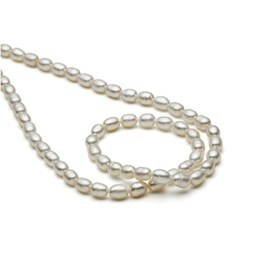 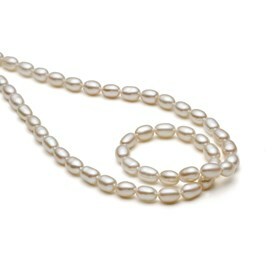 Click here for more information on cultured pearls.